Classic FitYou'll find exquisite lapel, back waist, pocket detailing and an immediately noticeable flattering appearance to our men's and women's designer lab coats. With modern features and a pristine finish, we've set a new standard in lab coat quality, fit and performance. The standard boxy, unisex lab coat has gone missing - and with good reason. Sharp + tailoredIntroducing the most contemporary, stylish lab coat available. 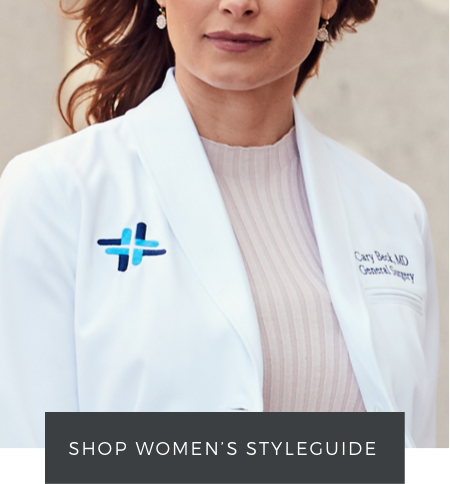 Professionally designed to provide a modern and sophisticated fit without restricting ergonomic movement or comfort.Typically doctors' white coat designs use excess fabric in the waist and torso, creating a round appearance. Our slim fit lab coats for men and women solves that problem without being tight - a modern tailored design. In the medical field, establishing trust with your patients is everything. Much of this comes from first impressions, so it’s crucial to appear professional, knowledgeable, and capable. A modern lab coat in the right cut helps you demonstrate your professionalism. Medelita’s unique lab coats use designer sensibility and unrivaled, high-performance fabric for a premium, sharp appearance. 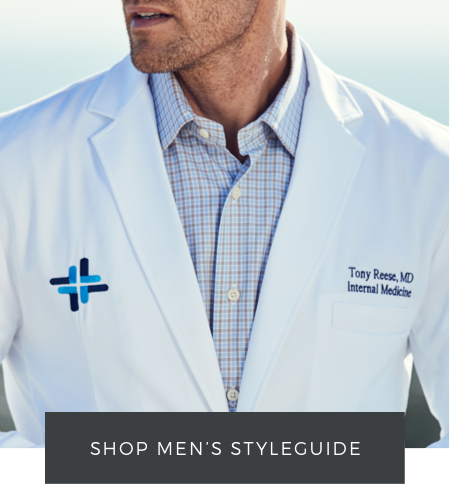 Our form fitting lab coats taper around the midsection to banish unflattering boxiness, while our classic lab coats use clean lines and expert tailoring for an elevated take on the traditional medical lab coat.